Is your house affected by damp? Have you tried figuring out the underlying causes and the ill effects it? How do you get rid of it? How do you stop it? 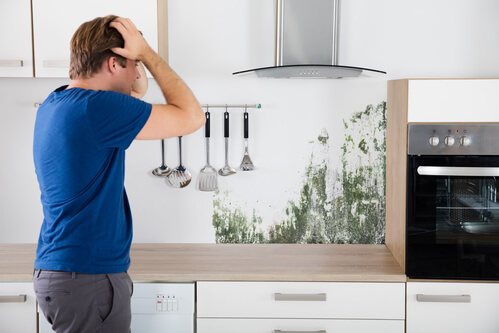 Damp is often said to be a ‘silent demon’ that not only spoils the home décor, but destroys one’s purpose and interest in living in a space that is affected by it. The moment you spot damp inside the house, it is important to seek a treatment program and prevention measures, which must be a blend of proper ventilation, heat, damp-proof techniques and of course, maintaining the condition. You are most likely to see this when water at the ground level outside the house starts soaking inside the buildings and then rises up through walls. Some tell-tale signs include wallpapers or paint peeling right above the skirting board or presence of mould or a water mark at the bottom of the floor and so on. Installing a damp-proof course or membrane is a solid way of protecting the house from this type of damp to build up. Condensation is a common occurrence for moisture which is imperative to be found in the air. It will only happen on surfaces below the dew point. Only if moisture is less, ventilation is done, cavity wall installation and draught-proofing of windows or doors is done and the home is heated a little more, chances of damp can be minimized. Penetrating damp is where in mostly roofs, parapets, chimneys and other exposed regions of buildings the face cracks or fungus and mildew can be seen or the plaster gets wet and crumbles down. Internal leaks are also common, especially for pipes under sinks and bathrooms. The best way to treat this situation is to maintain one’s home regularly and repair it inside out periodically. Apart from detecting the type of damp and implementing necessary treatment measures, one thing that can overcome damp related issues is acting vigilant. Most households generally fail to see through the problems, check for loose connections or ensure repair work is done at set timings. This is especially true for people who live on the top floors and face the first impact, which only spirals down to the neighbors below! In reality, the source of moisture for rising damp when removed can resolve matters to a considerable extent. For example, French drains are relatively inexpensive modes of solving the matter. At the same time, installing them requires one to understand that those aren’t sited against walls directly, but rodding points are provided. If not seen, blockages will be common and thereby increase chances of dampness. Not to forget, structural implications must also be considered. No matter how you try to fix up damp related issues, always make it a point to hire damp proofing experts for the work. Using the services of inept people will only hamper chances of minimizing damp.